HOT!!! The all new ZNEN VINTAGE 150cc Moped Scooter is here! 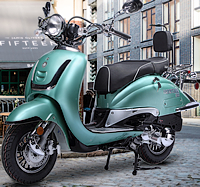 It has the most popular Vespa body design and beautiful chrome details, this scooter has classic Italian look, but with contemporary technology. Windshield, remote alarm system, LED light, white wall tires... Comes to your door near fully assembled, just put on mirrors, charge battery, gas it up and you are ready to go! 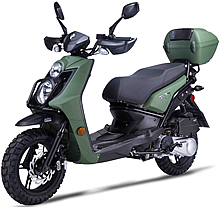 NEW ARRIVAL ~The 2018 ZNEN 1-TONE VINTAGE 150cc Moped Scooter is here! 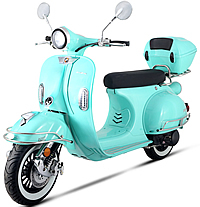 It has the most popular Vespa body design and beautiful chrome details, this scooter has classic Italian look, but with contemporary technology. Windshield, remote alarm system, LED light, white wall tires... Comes to your door near fully assembled, just put on mirrors, charge battery, gas it up and you are ready to go! NEW ARRIVAL, LIMITED EDITION ~The 2018 ZNEN VINTAGE 50cc Moped Scooter is here! 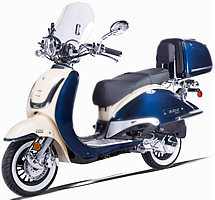 It has the most popular Vespa body design and beautiful chrome details, this scooter has classic Italian look, but with contemporary technology. Windshield, remote alarm system, LED light, white wall tires... Comes to your door near fully assembled, just put on mirrors, charge battery, gas it up and you are ready to go! 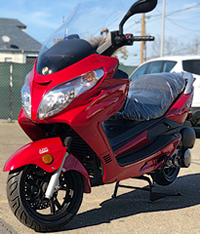 NEW ARRIVAL ~The all new 2018 BMS® HERITAGE 2-Tone Premium 150cc Moped Scooter has all of the great features that the previous year models had, plus more chrome details, upgraded classic and high quality leather seat and BMS exclusive front panel designs.. This scooter comes to your door near fully assembled, just put on mirrors, charge battery, gas it up and you are ready to go! 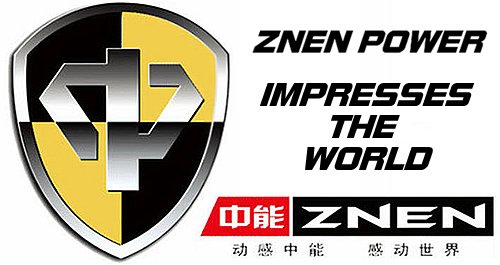 The all new 2018 ZNEN 150cc VES 150 scooter combines unique and retro body style and the latest technology. It has the most popular Vespa body design and beautiful chrome details, comes with remote start and anti-theft security alarm system, rear trunk, LED light, aluminum wheels with white wall tires, fancy spokes... Comes to your door near fully assembled, just put on mirrors, charge battery, gas it up and you are ready to go! 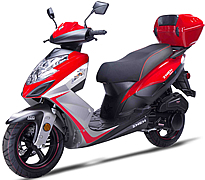 The All New ZNEN 150cc RX-150 Scooter has an Unique Urban Sporty Body Design, Innovative Double Halogen Headlight, LED Taillight, Upgraded Dual Suspension, Dual Disc Brakes, Dual Layer Duro Sport Tires with Red Painting, Remote Start, Anti-theft Security System, Stainless Steel Nuts and Bolts, Detachable Rear Trunk, Hand-guards and MANY MORE Great Features. Comes to your door 99.9% Assembled! Brand New ZNEN 150cc Big Sport Scooter ZN150T-7G has an Unique Urban Sporty Body Design, Innovative Triple Halogen Headlight, LED Taillight, Remote Start, Anti-theft Security Alarm, Upgraded Dual Suspension, Dual Disc Brakes, Dual Layer Duro Sport Tires with Red Painting, Stainless Steel Nuts and Bolts, Detachable Rear Trunk, USB Port and MANY MORE Great Features. Comes to your door 99.9% Assembled! NEW ARRIVAL! 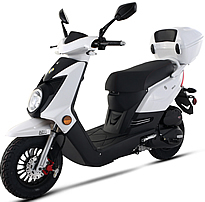 Redefine the meaning of your lifestyle with the brand new ZNEN Q-50 Scooter. Comes with a Large rear trunk, Sporty design, Very bright LED lights all around! Motorcycle license is not required in most States, please check with your local DMV for details. 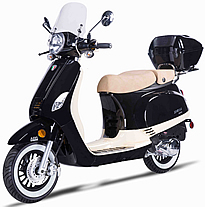 You'll get all of the excitement and charm of the classic Italian look with the brand new ZNEN VENICE 150cc Scooter! 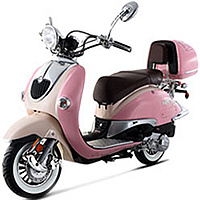 It has the most popular Vespa body design and beautiful chrome details but with contemporary technology. Windshield, rear trunk, remote and alarm system, LED light, white wall tires... Comes to your door near fully assembled, just put on mirrors, charge battery, gas it up and you are ready to go!